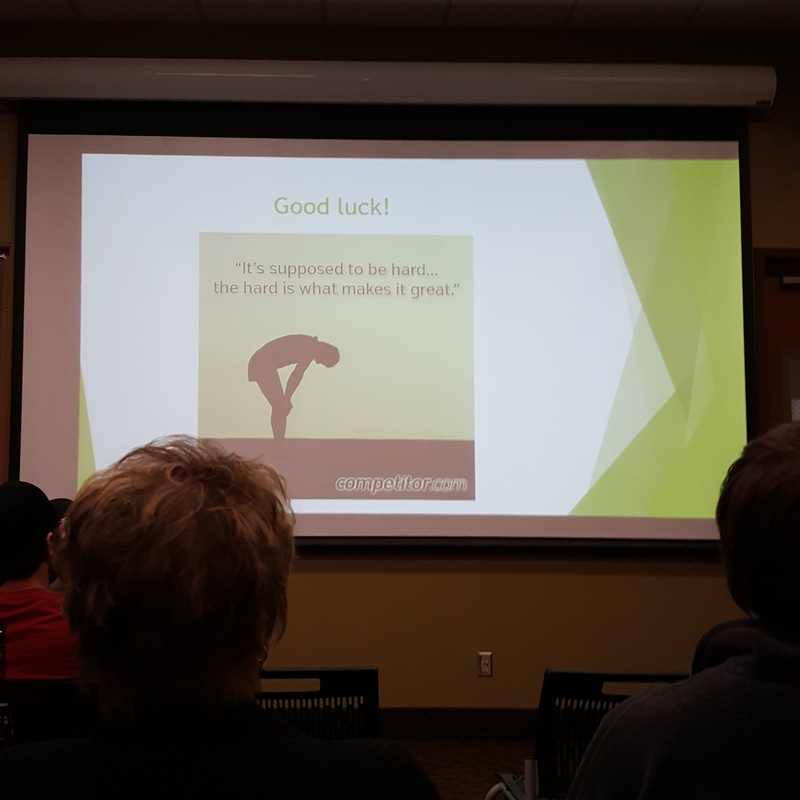 l attended a talk last night about running. The theme was From couch to 5K. l found out most injuries happen to beginning runners. No big surprise there. ln fact, the 2 biggest problems come from inadequate training & inadequate gear. Folks make poor choices when buying running shoes, mainly people buying a half-size too small of a shoe, or else they don’t buy a new pair when the shock absorption in their shoes is shot. After 5 miles of running 25% of shock absorption is gone. Also, their loose-fitting cotton socks don’t wick away moisture, so they get more blisters. Next, training is where a lot of runners fall down. Their leg & hip & knee muscles are just too weak to support the pounding. I learned that running hills is one of the easier ways to injure yourself. Did you know running downhill puts 50% more pressure on your joints? A great way to get sidelined if you are not in condition. Last, but not least, if you can shorten your stride, you will find less pressure is put on your knees, for health and joy in running! Remember, to get to where you want to go, you have to walk before you can run! Previous Pings, pops, and buzzes.